As ever, Sir, you are a gentleman! Your problem is in the DXF post processor set up. The start and end points of the actual cuts can also be set back (recess) or forwards (overlap). In this case I’ve set up for a 7 or 8mm diameter bit. The blade diameter is set to 0 because we are not using a blade. The “Recess of non through grooves” is set to -4 so that the actual 8mm router bit will over cut 4mm and the Through groove overlap set to 4mm for the same reason. A Happy New Year to you – Polyboard is still proving a God-Send! A quick question. It may be a bug in the software or I may be doing something wrong. I’ve recently made a wall-hanging cabinet that needs an 18mm void behind the back for wall hanging brackets to fit. To that end I went for a back grooved into the top/bottom/sides; set in to the unit by 18mm. The problem I have is with the sides. The .dxf export seems to stop the grooves short of the ends of the panels, contrary to what Polyboard is showing in the design. The result is that when the unit is assembled the grooves for the back to sit into (in the sides and top/bottom) don’t overlap. The top and bottom pieces are 19mm thick, and are overpassing. 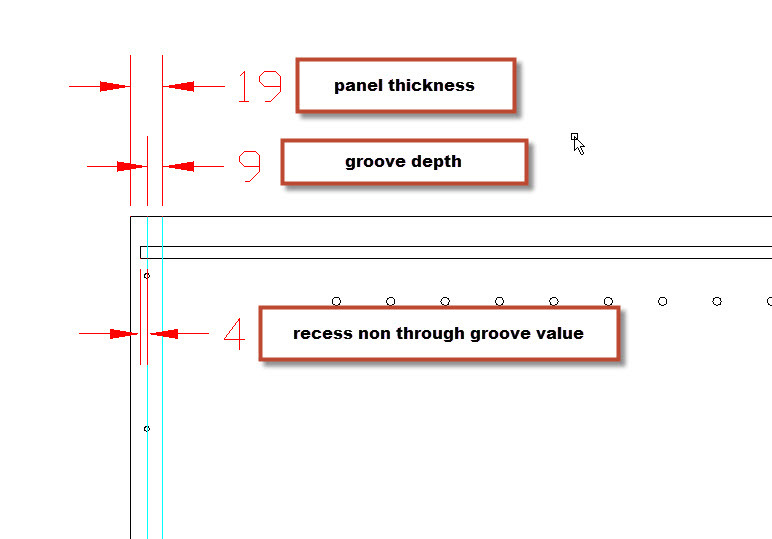 The groove for the side panels finish at 19mm from the ends, as opposed to being closer to the end to form an overlap. I’ve attached the file as well as the .dxfs that were created. Could you take a look? Does this make sense? The nicety and a few others will be available in v6 . Keep us updated on future projects. Thanks Ness – it was a nicety rather than an essential. I’ll rename the panel as you suggest for the cutting lists though – very handy. Thanks for the feed back and the photos, it’s much appreciated. 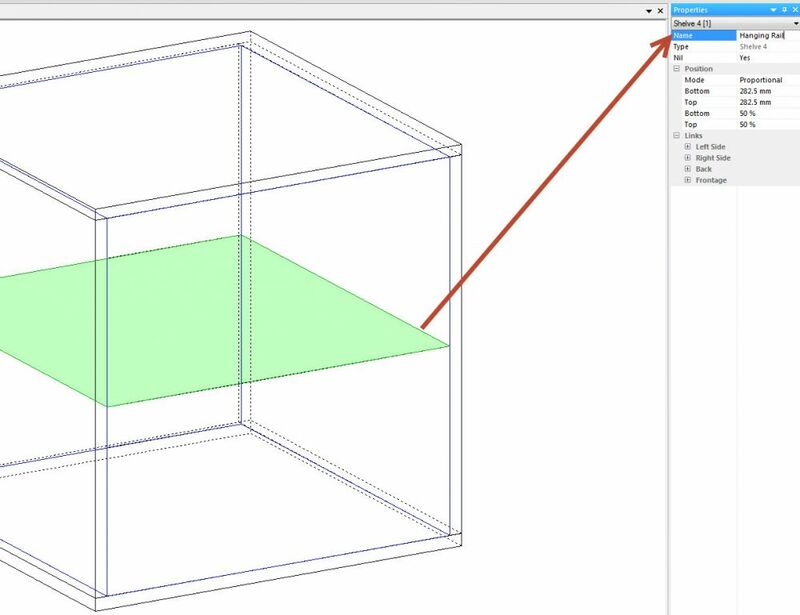 But in Polyboard v5, the part type “shelf 4” can’t be renamed . We are working on version 6 where types can be created and named as wanted. We are hoping to get v6 out at the end of 2015 or beginning of 2016. Thanks for the feedback and photo. Really glad to hear you’re successfully bedding Polyboard into your workflow. Ness will get back to you on that shelf renaming issue to see if it’s possible to change or not. Firstly, just a quick question. I have set up PB to put in screw holes for wardrobe hanging rail socket. I’ve set up “Shelf 3” in the shelves list to be a Nil panel, that when inserted into the model is fitted to the sides/uprights using a drilling pattern that fits the wardrobe rail sockets I use. Very handy! How can I rename “Shelf 3” to something like “Wardrobe Rail”? Secondly, we’re at the end of a very busy week where our first 2 PB designed and manufactured projects were installed. A few lessons learned (not the problem of the software – definitely the operator!) but all in all a tremendous success. The last installation (photo included) is not too ambitious, but worked a treat – thanks! It has saved us a huge amount of time and the accuracy is superb. Nice to hear from you and know that everything is working well. 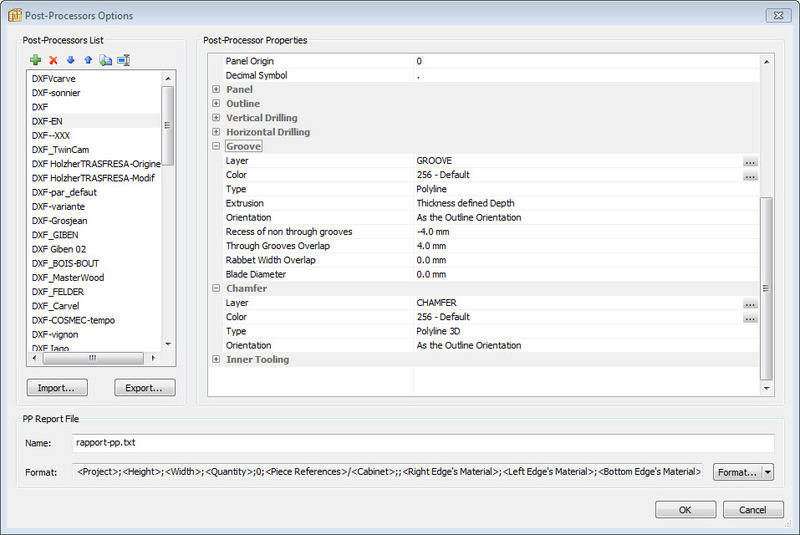 The Xilog PLus XXL post processor should appear when you go to “File>Post Processor Options” and “File > Post Processor Export”. The Options will enable you to set up the Post Pro to the specific configuration of your suppliers machine as defined in the DEF file he wants to send you. Once the Xilog post pro set up you can export all the parts as XXL files that can be read directly by a SCM machine. 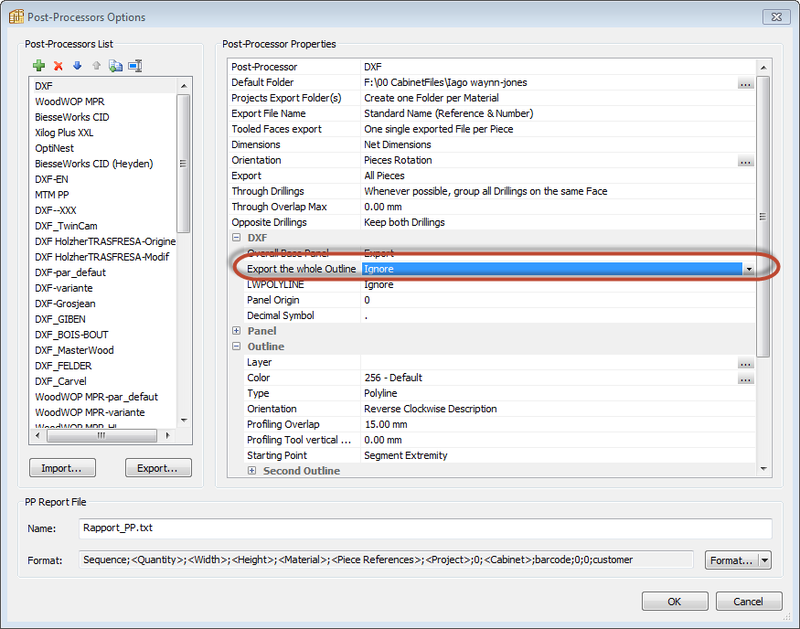 This means that your supplier doesn’t have to set up the tool paths on a DXF file that you send him. He just sends your file directly to his machine. Once set up correctly production should be seamless, faster and smoother for your supplier. The set up is done in the Options dialogue box and is quite straight forward for someon who knows the CNC parameters. If Xilog doesn’t appear in the PP lists you might have erased it by error. In this case use the Import button in the Post Processor Options to load the file below. There are series of XXL setups that you can try and tweak. Polyboard and my CNC suppliers are working together seamlessly! That xilog output is quite interesting, basically does the cnc programs for you, could work great with some tweaking. Do you know the location of the xilog post processor on your computer, so I can open it and have a look ? If I can tweak it to make it how we run our machine, I can send you our cnc DEF file, and it should pretty much do the programs for you. This is all a bit technical for me – can you shed any light on what he needs and where I can find it in the PB architecture? Polyboard is working very well thanks. Just submitting my next 2 projects to the CNC now. I may have a few questions in a bit, but certainly nothing major. Thanks again for all the pre-purchase help. It’s greatly appreciated! Sorry to get back so late but I’ve been away the last week. I hope that Polyboard is working well for you. To not draw the outline set the ‘Export the whole outline” PP option to “ignore”. 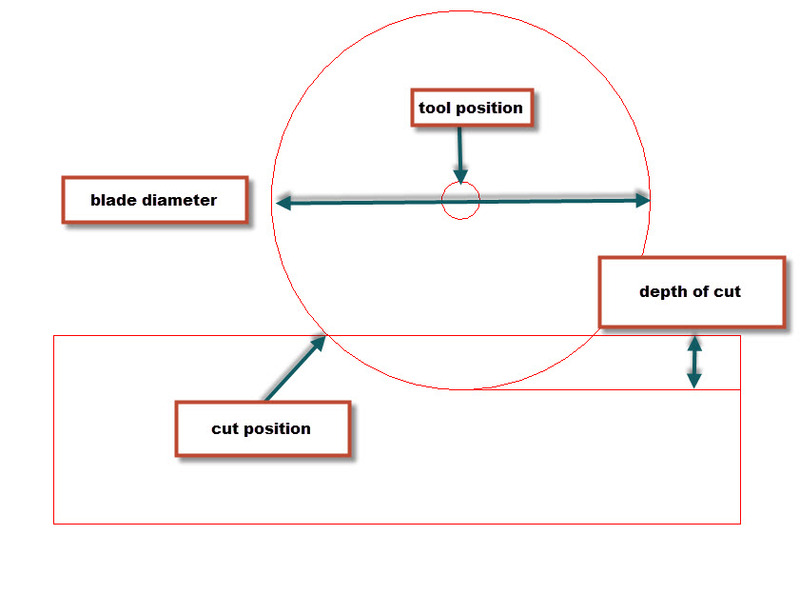 The polyline on the Outline layer is used to calibrate the panel before drilling. 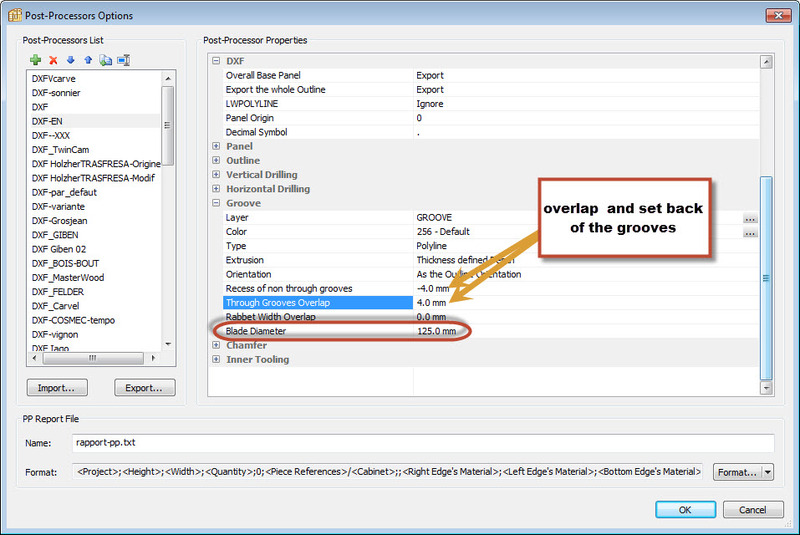 It is extended past the origin to give tool path approach and out feed, determined by the “Profiling overlap” parameter. we’ve just paid for the PP version of Polyboard via PayPal. Could you let me know if you need anything from me at my end to activate it? The dxf’s seem to come with a layer called “Outline” which is surplus to their requirements. This layer seems to add 2 extra lines in one of the corners. Is there a way to export the .dxf from PolyboardPP without this layer included? That’s much appreciated. We’re still intending to go ahead with the purchase next month. I’ve been in contact with the developers and for the moment there is no easy solution. I have asked them to indicate the position of edging on the production plans for the next version. For the moment one just has to be aware that when the plans show Face 2 the left and right are inverted. The best would be to stick the labels with the edging indications on the parts as they are cut. Note that you can optimise with Opticut or Optinest and stick the labels on as the parts come off the machine. Sorry to get back late but I wanted to talk to the development team about your question and as it’s been a bank holiday over here in France I haven’t been able to contact them yet. In general the right and left sides are named as viewing parts from the front and left side views. When the part is drawn as “face 2” this therefore is inverted. Labels can be set up to show the edging, this follows the same convention. I attach the pdf of the labels for you to see if this can be of help. I’ll talk to the developers tomorrow to see if we can develope a more graphical way of showing edged parts on the workshop plans.